Maybe at some point in our lives we have generated discomfort or resentment with people around us like friends, work people or family. However, you can always restore the conflict expressing your feelings of apology or explaining the reasons for your decisions. You can do this through written documents called letters of apology, which in short words express your regret for the situation, proposing a solution to recover the image you’re missing. Complementing the above, it is important to learn how to write a letter, since in a relationship, whether social, occupational, or business will always be the need to send letters to important people now or in the future. Thus, you leave a good image for the one receiving the letter, which you would need in the future. Now maybe you understand the importance of sending such letters of excuse for not going to a meeting. It is simply to write the causes of absence, regardless of the purpose of the meeting. In other words, the purpose of this letter is not to lose the link to that important person with whom you had the meeting. The wording of the letter should make it clear that we take our responsibility for the absence and offer our sincere apologies for this. We also present the causes of failure and write a sentence that makes this clear. – The place and date of issue of the letter in question. – Both, the sender and the recipient must be properly identified with names and position held. 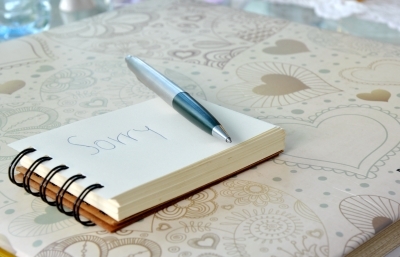 – Then, in the first two paragraphs should be expressed the appropriate apologies briefly and concisely. Hoping you understand what happened I reiterate my desire to meet with you on the 6th of May in the city in which you reside, Trujillo. If you confirm the meeting, I will be traveling to Trujillo on the last flight of the day before to avoid any problem. Although the causes of absenteeism can be several, writing format should be the same. It is important that your words are read as a sincere apology and your intention of correcting the mistake too. Remember, the purpose of this letter is avoiding the damage of your personal and professional credibility by this impasse. Hi HI | Very good letters ! Thanks ! i am sorry to day i cant attend our friendship meeting because i have an meeting at delhi my company superiors called me to attend this emergency meeting so please excuse me for the inconvenience. i promised i will attain the meting but Suddenly i left for emergency work so how can i send letter to not attain the meting.